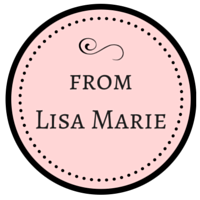 I am so blessed by my blog friends! Thank you all so much for these lovely awards! Thank you to Adalex72 at The Glass Jar for the Sharing The Love award!! 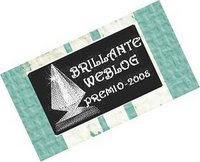 Thank you to Kathy C. at Blessed Beyond Imagination for the Brillante Weblog award! And thank you to Rhonda at Scooterblu's Whimsy for a Brillante award and this Just Plain Fun to Read award! You are all so sweet and I truly appreciate these awards. 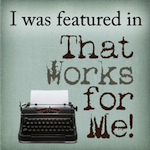 I enjoy reading your blogs, too! Thank you, thank you, thank you! 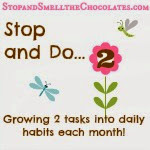 Please take a moment to stop by these lovely blogs - they are all enjoyable. I am approaching my 100th post, which should be at the end of the week (Lord willing!). I would like to do something special and will be working on the details, but keep checking back. Since I'm away from home and busy, it might be a challenge to do what I would like to do, but I will attempt it. There should be a fun 100th post on Friday! Hope your week is a blessed, chocolate-filled one! Congrats on all your awards! 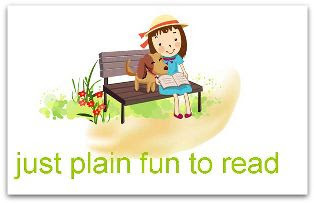 I agree that you are just fun to read. Have a great week. Come see what for and congrats on all your awards!